The HUAWEI P30 Series will change users’ expectations of smartphone photography. 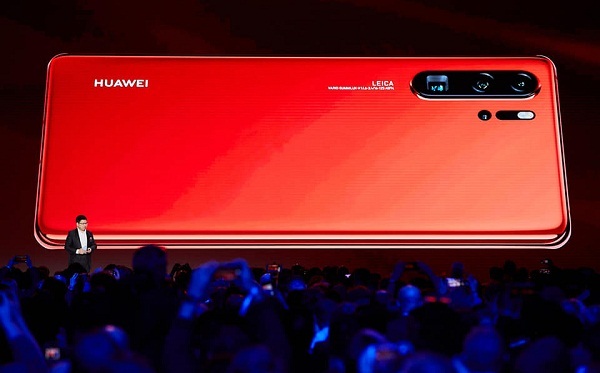 Achieving a record-high overall DxOMark scoreof 112, the HUAWEI P30 Pro is equipped with a new Leica Quad Camera System, including a 40MP main camera with the HUAWEI SuperSpectrum Sensor, a 20MP ultra-wide angle camera, an 8MP telephoto camera, the HUAWEI ToF Camera and a 32MP front camera that takes selfies to a new level. The 1/1.7-inch HUAWEI SuperSpectrum Sensor looks at light in a fundamentally new way. The RYYB HUAWEI SuperSpectrum Sensor deviates from the traditional RGGB Bayer filter by replacing green pixels with yellow pixels, yielding a high maximum ISO rating of409,600 on the HUAWEI P30 Pro and 204,800 on the HUAWEI P30. This fundamental shift in sensor technology, combined with HUAWEI AIS, OIS and the HUAWEI P30 Pro’s f/1.6 wide aperture, delivers extraordinary photography and videography experiences across a wide range of scenarios and lighting conditions—including extreme low light—producing images with enhanced detail, color and clarity. The HUAWEI ToF Camera unleashes theimagination. Unique to the HUAWEI P30 Pro is a HUAWEI ToF Camera that captures depth-of-field information to deliver accurate image segmentation. Precise distance measurement allows for the simulation of multiple levels of bokeh. The SuperPortrait feature captures even the smallest details, such as individual strands of hair. It combines depth information and proprietary algorithms to produce outstanding images with defocused backgrounds and highlights the subject of the image in any scenario. The HUAWEI P30 Series is a smartphone camera with cinematic capabilities. The HUAWEI P30 Series ushers in a new era of studio-grade videography. The HUAWEI SuperSpectrum Sensor enables spectacular low-light video capture so nightscenes appear bright and highly detailed. HUAWEI AIS and OIS support stabilization for all video capture settings, resulting in a perfect, steady shot. Additionally, the SuperZoom Lens allows for crisp close-ups, while the AI Video Editor enables users to add background music and special effects to their videos, turning the HUAWEI P30 Series into a mobile production studio. Two views are better than one. HUAWEI Dual-View Videocan capture two perspectives of the same scene at the same time by using multiple cameras simultaneously. The HUAWEI P30 Series provides a full view of a scene while also capturing a close-up of a subject, unleashing new and exciting possibilities for video. Deriving inspiration from nature and technology to achieve a stunning design and beautiful colors. The HUAWEI P30 Series design, created with a nine-layernano optical color finish, is inspired by the unique color palette and pristine look of salt flats. The 6.47-inch HUAWEI P30 Pro and 6.1-inch HUAWEI P30 come in Breathing Crystal, Amber Sunrise, Aurora, Pearl White and Black. The FHD+ (2340×1080) Dewdrop Display features a tiny notch, providing maximum display area. The near bezel-less front glass houses an In-Screen Fingerprint sensor for quick and secure identity authentication. The HUAWEI P30 Pro also features HUAWEI Acoustic Display Technology that enables it to deliver high-quality audio through a sound emitting display. The HUAWEI P30 Series is powered by the 7nm Kirin 980 processor, which delivers ultimate performance, top-class efficiency and faster image recognition throughits Dual-NPU AI processing power. The HUAWEI P30 Pro features HUAWEI SuperCool technologyto improve thermal performance, keeping the phone cool even during heavy use. Huawei also launched the HUAWEI WATCH GT Active Edition and Elegant Edition, outdoor smart watches featuring ultra-long battery life; HUAWEI FreeLace wireless earphones, which support HUAWEI HiPair for easy pairing and fast charging; and HUAWEI X GENTLEMONSTER EYEWEAR, new smart glasses co-designedwith renowned eyewear designer GENTLE MONSTER. The HUAWEI P30 Pro is also available in a Special Edition GiftBox. This premium set includes a Breathing Crystal or Pearl White HUAWEI P30 Pro and a Pearl Pink Glamorous Case encrusted with Swarovski® crystals. New Galaxy CORE Prime in Bangladesh! 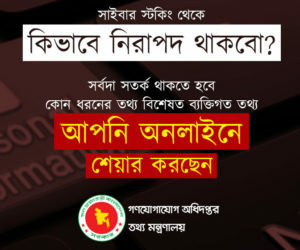 Gmail attachment Download problem in Bangladesh, why?